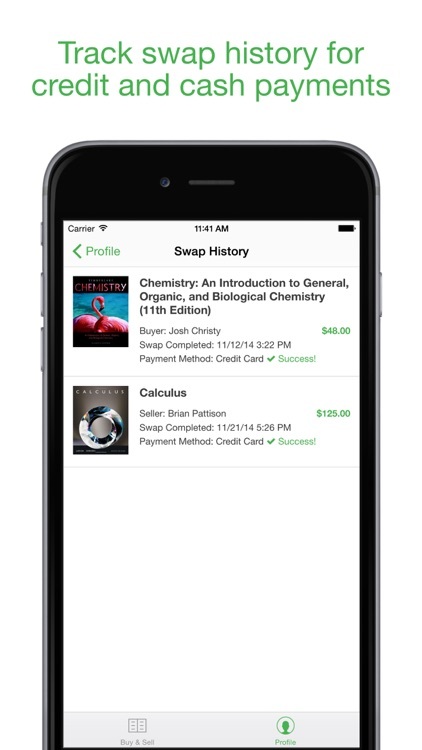 Campus Swap is your simple, local, and safe resource for buying and selling college textbooks. 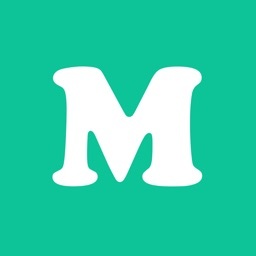 Created by college students for college students, this free app will allow you to by-pass crazy high bookstore costs and the hassle of shipping a book from across the country. It’s a green initiative in more ways than one. Recycle your books into the hands of those who need them and get a better value at the same time. It’s simple. 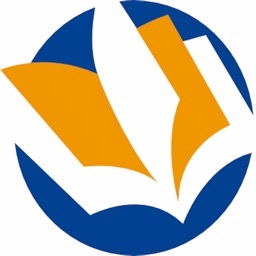 Scan the barcode, or search the isbn/title and select your book to sell or the book you want to buy. 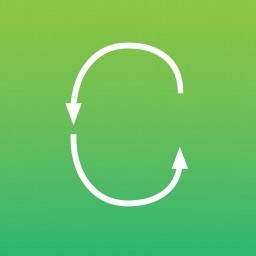 Built in messaging within the app quickly allows you to agree on a safe “Swap” location to make the sale. 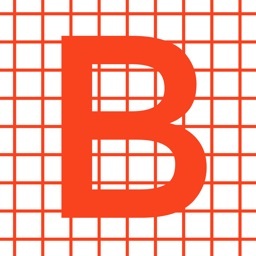 You can choose to pay with cash or credit card option through Stripe. Campus Swap works hard to protect all of your personal information and maintain as easy to use as possible. 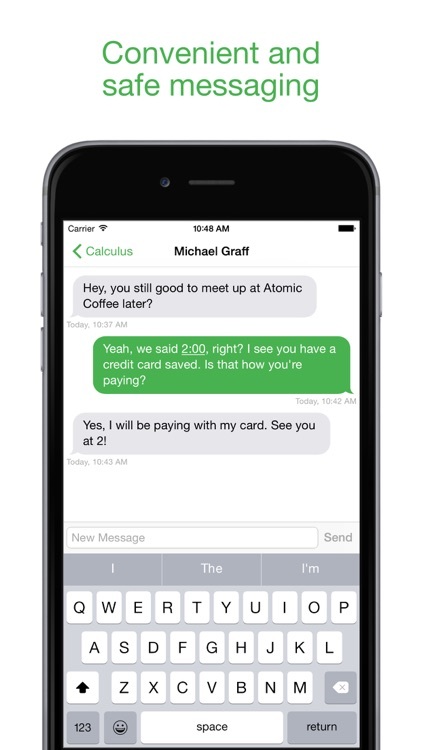 In-App Messaging: No need to give out your number, address or even your name. 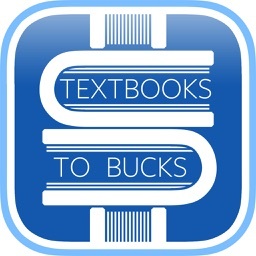 Our in-app messaging is just a small part of ensuring that buying and selling textbooks (swapping) is safe and simple. 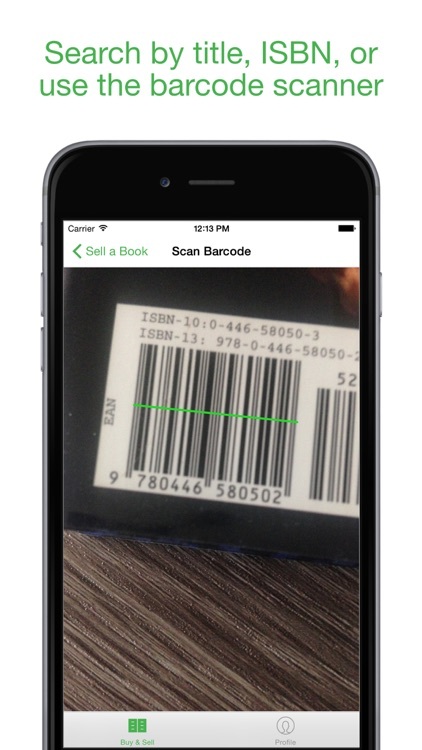 Barcode Scanner: Post a book in 10 seconds or less with our simple barcode scanner. Credit Card Transactions: No need to have cash on hand when buying a textbook, and with Stripe your information is kept private and safe. 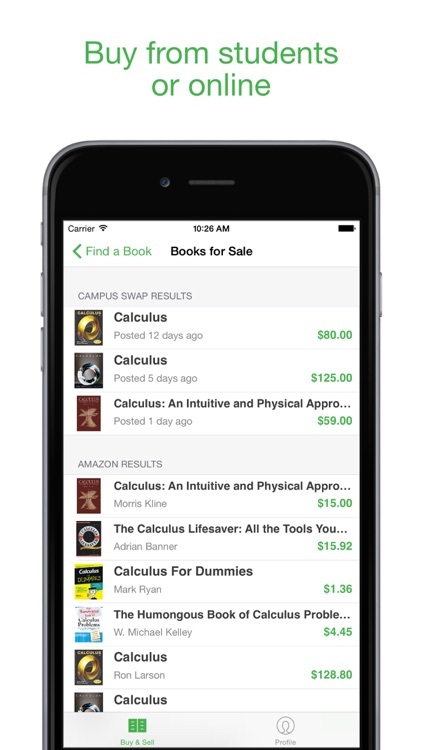 Purchasing Options: Every time you search for a book, you will see Campus Swap as well as Amazon results. 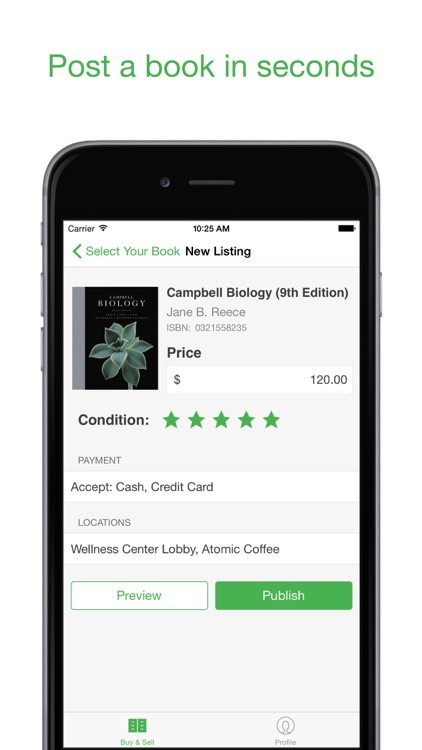 If you can’t find what you’re looking for on your campus, you can safely purchase from Amazon directly from our app. 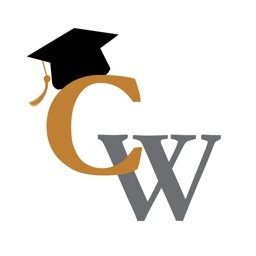 Pre-set meeting locations: In an effort to save you time and make the swap process as safe as possible, we have incorporated selected businesses and campus locations for swaps to take place.